James Kenneth “K. T.” Turner, age 77, of Wiley, Georgia, passed away with his loved ones around him. Kenneth was the son of the late James Harvey Turner and Bonnie Mae Palmer Turner in Cleveland, GA on November 16, 1941. 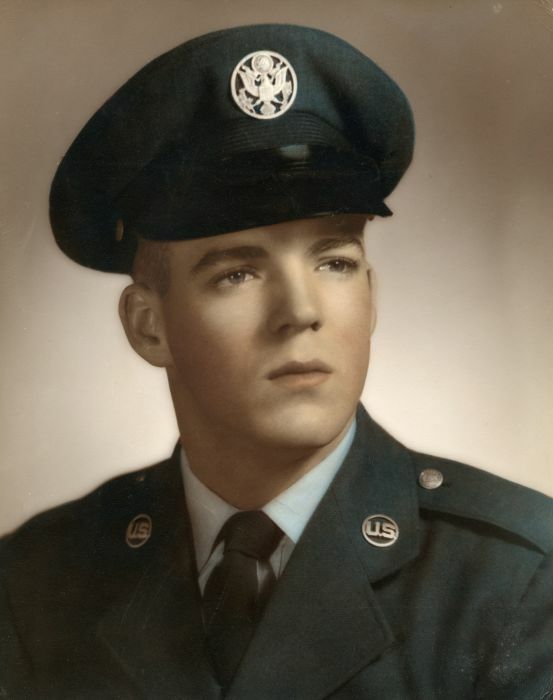 Kenneth was a veteran of the Vietnam War, and served his country as a member of the United States Air Force. Kenneth was a member of the Battle Branch Baptist Church and was a Christian. In his professional career, he worked as a painting contractor for many years. He enjoyed being outdoors, and liked to spend time hunting, shooting and fishing. In addition to his parents, he was preceded in death by, his loving wife, Janet Ruth Ramey Turner. His survivors include one son, Delwyn Turner (Angie), of Wiley, GA; one daughter, Kenette Turner (Martin Vazquez), of Wiley, GA; two brothers, Charles E. Turner, of Lula, GA, Larry W. Turner, of Bowersville, Georgia; three grandchildren, Creed Turner, Kaleb Turner, Sierra Vazquez Turner. The family will receive friends on Wednesday April 3, 2019 from 12:00 pm until 2:00 pm at the Beck Funeral Home in Clayton, GA.
A funeral will be held on Wednesday April 3, 2019 at 2:00 pm with Rev. Madison McCrackin and Rev. Dennis Turner officiating. The family asks that in lieu of flowers, donations should be made in Kenneth “K. T.” Turner’s memory, to the Children Hospital of Atlanta Children's Foundation 3395 Northeast Expressway Suite 100 Atlanta, GA 3034.